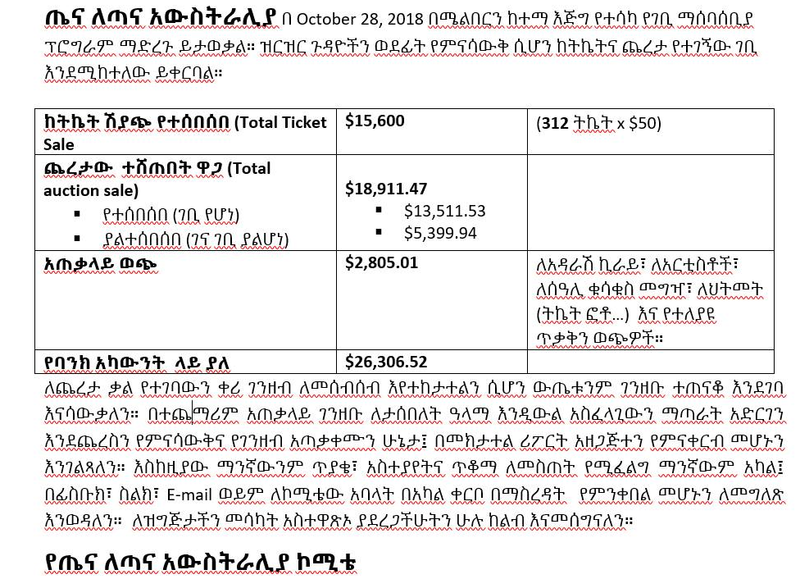 Here is a summary of the financial report for the efficacious (in various measures) fundraising event that we had on the 28th Oct.
Tena Le’Tana is largely delighted for having you mobilized and uplifted—finally managed to generate this amount ($26,306.52++). Well done! And we still have your moving promise and untapped energy, which entices us, to potentially work with you for the novel and well-worthy cause—eradicating water hyacinth from our INVALUABLE Lake. Remember; tackling water hyacinth is like a greenhouse gas emissions project–a project that runs over a few decades. Tena Le’Tana salutes your help, and importantly your rage (for the Lake) is more than just money.